1. Preheat the oven to 350 degrees F. Line 2 baking sheet with parchment paper. 2. With an electric mixer, cream the butter and both sugars together until smooth. Add the vanilla and egg, mixing well. Sift together the flour and baking soda. Spoon the flour mixture gradually into the creamed sugar mixture. 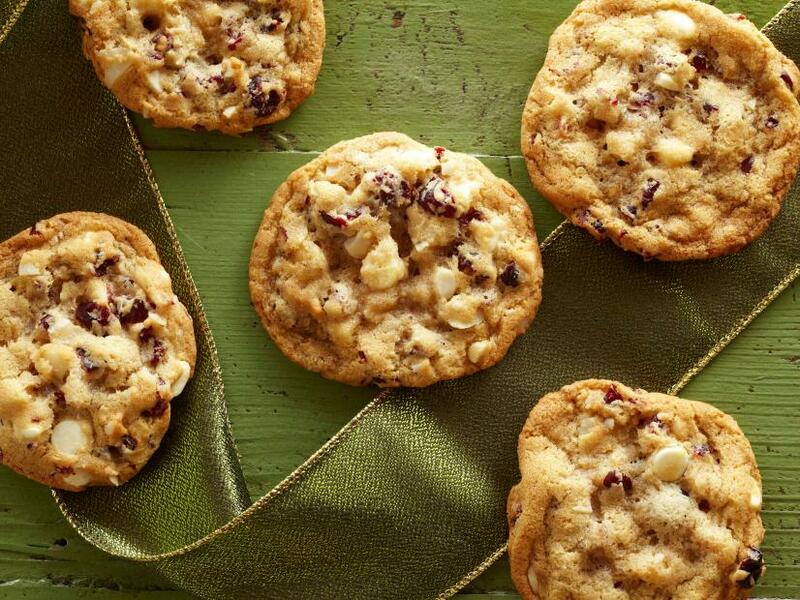 Stir in the cranberries, white chocolate chips and macadamia nuts. Drop by heaping spoonfuls, about 2 tablespoons, onto the prepared baking sheets, 2 inches apart. Bake one sheet at a time until lightly golden on top and the edges are set, 12 to 15 minutes. Cool on the sheet about 5 minutes, and then transfer to a wire rack to cool completely. Store in an airtight container for up to 2 weeks.